Catholic Stuff to Check Out! Check out these awesome resources!!! ​We all get wrapped up online or in our phones and sometimes forgot to take the time for God, below are some websites, apps, cool people and books to help your faith grow! Catholic app for android and apple; has daily readings, saint of the day, catechism of the catholic church, list of prayers, and lots of other good things! 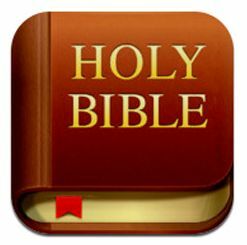 The Bible app for both platforms is an essential need for everyone! This is the YouVersion Bible app, and there are a lot of awesome Bible apps out there, but this one is great because of the reading plans, translations, notes and community you can have! There are some super awesome websites that can help relate to your faith, learn more, and some are even Bible study's online! These are Christian based Bible studies with an online community of men and women who want to grow with God. Blessed is She: At Blessed is She, we help foster community, through daily devotions straight to your inbox. We walk with you on this crazy journey as a daughter of the King. Blogs from some awesome people!